4545 Commerce St #3502, Virginia Beach, VA 23462 (#10241783) :: Abbitt Realty Co. 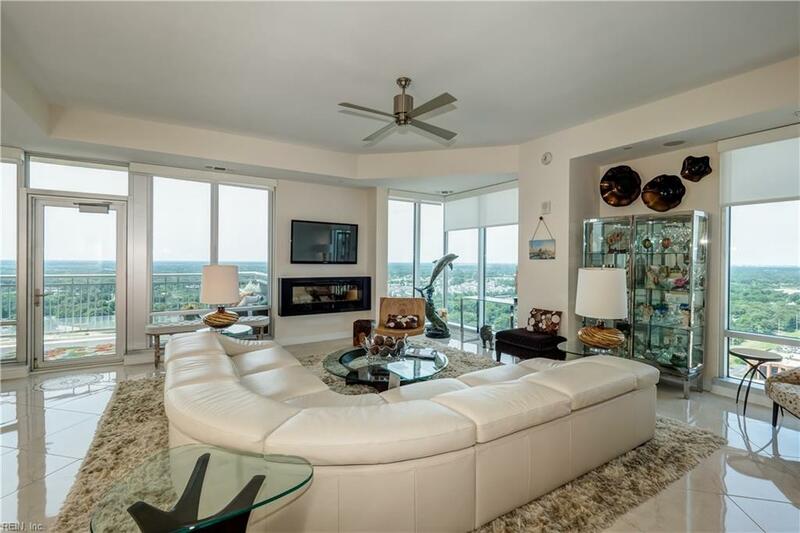 Custom penthouse with a 75' long balcony, floor to ceiling glass and incredible views of Virginia Beach. 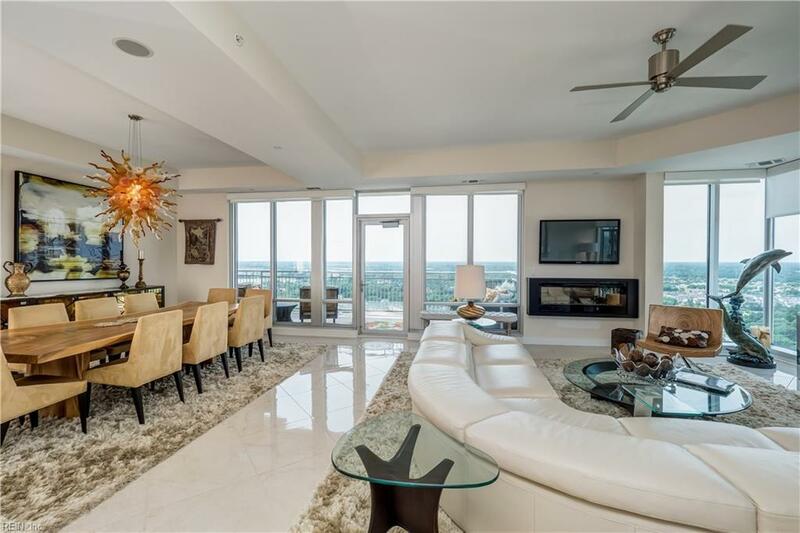 This condo expands from one end of the Westin tower to the other with high end finishes throughout. Chefs kitchen with Viking appliances, ice maker, warming drawer, wall ovens & paneled Viking refrigeration. 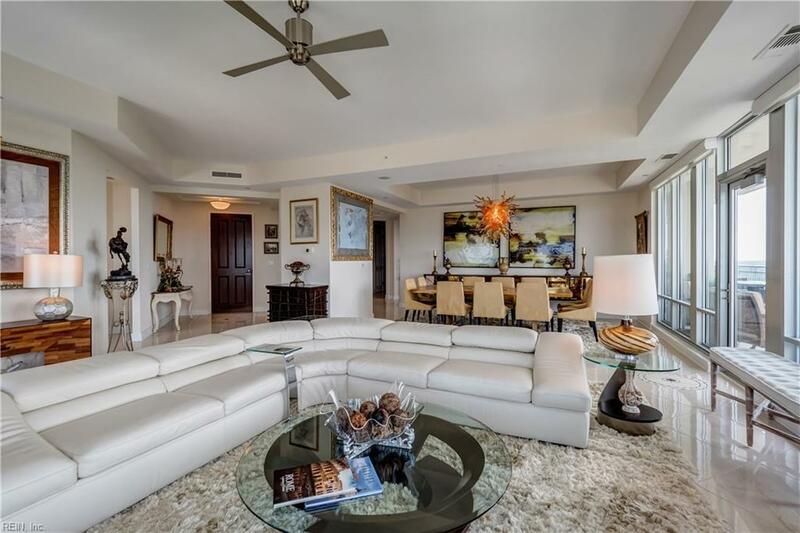 Enjoy views of sunrises & sunsets.The master bedroom is on the eastern exposure and has a built in office area. The bath is exquisite. Each bedroom has a full bath ensuite and entry to the balcony. Laundry room has full size washer & dryer. All audio visual components convey. Wired for sound throughout. Connected to the upper generator & never without power. Window treatments convey. The den can be set up as an office/guest room. Designed for entertaining it will not disappoint. Centrally located and easy interstate access. 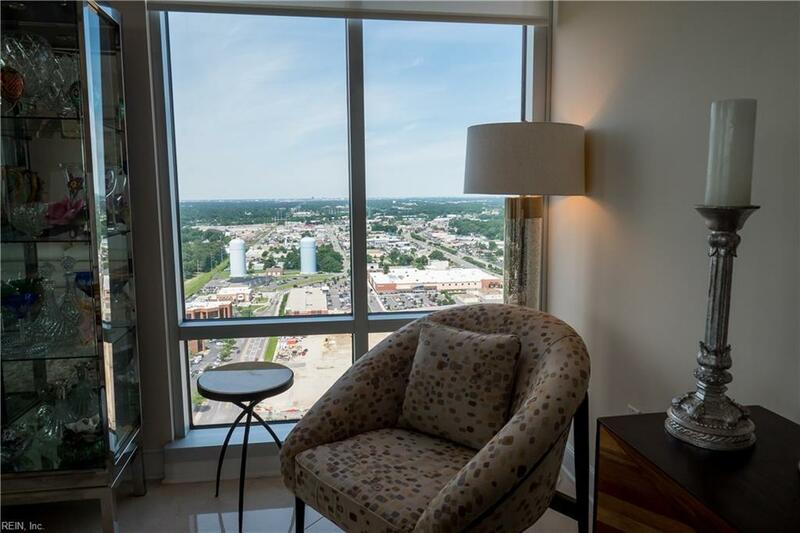 10 minutes to the beaches, downtown Norfolk & the airport. Walk to shopping, dining & theater. Town Center has a lot to offer. Call for more info.